Punk photographer Cass Neary, "one of noir's great anti-heroes" (Katherine Dunn, author of Geek Love), rages back in the series that began with the award-winning novels Generation Loss and Available Dark. Fleeing Reykjavik and a cluster of cult murders, Cass lands in London to rendezvous with her longtime lover Quinn, a person of interest to both Interpol and the Russian mob. Only Quinn doesn't show up. Alone in London and fearing the worst, Cass hooks up with a singer-songwriter with her own dark past, who brings her to the wrong party. Cass becomes entangled with the party's host, Mallo Tierney, an eccentric gangster with a penchant for cigar cutters and neatly-wrapped packages, and a trio of dissolute groupies connected to a notorious underground filmmaker. 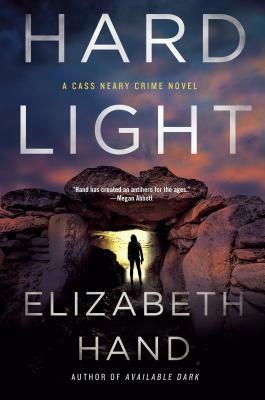 Forced to run Mallo's contraband, Cass is suddenly enmeshed in a web of murder, betrayal, and artistic and sexual obsession that extends from London to the stark beauty of England's Land's End Peninsula, where she uncovers an archeological enigma that could change our view of human history--if she survives.